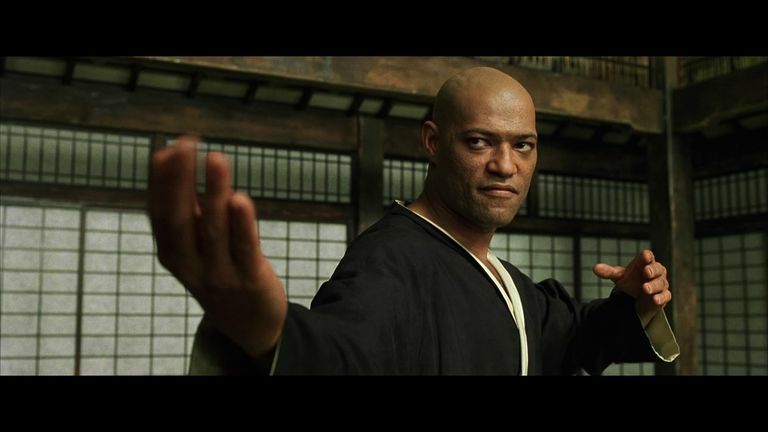 Perhaps the most famous example of image based modeling was in The Matrix,. In order to set things right, we've been hard at work preparing a handful of articles that focus on both the artistic and technical sides of 3D modeling. Although we did provide a general introduction to modeling in our discussion of the ?computer graphics pipeline, it was far from comprehensive. Modeling is an expansive topic, and a small paragraph can barely scratch the surface and do the subject justice. In the coming days, we'll provide information about some of the common techniques and considerations that must be made by the modelers working on your favorite films and games. Box modeling is a polygonal modeling technique in which the artist starts with a geometric primitive (cube, sphere, cylinder, etc.) and then refines its shape until the desired appearance is achieved. Box modelers often work in stages, starting with a low-resolution mesh, refining the shape, and then sub-dividing the mesh to smooth out hard edges and add detail. The process of subdividing and refining is repeated until the mesh contains enough polygonal detail to properly convey the intended concept. Box modeling is probably the most common form of polygonal modeling and is often used in conjunction with edge modeling techniques (which we'll discuss in just a moment). We explore the box/edge modeling process in greater detail here. Edge modeling is another polygonal technique, though fundamentally different from its box modeling counterpart. In edge modeling, rather than starting with a primitive shape and refining, the model is essentially built piece by piece by placing loops of polygonal faces along prominent contours, and then filling any gaps between them. This may sound needlessly complicated, but certain meshes are difficult to complete through box modeling alone, the human face being a good example. To properly model a face requires very strict management of edge flow and topology, and the precision afforded by contour modeling can be invaluable. Rather than trying shape a well-defined eye socket from a solid polygonal cube (which is confusing and counter-intuitive), it's much easier to build an outline of the eye and then model the rest from there. Once the major landmarks (eyes, lips, browline, nose, jawline) are modeled, the rest tends to fall into place almost automatically. NURBS is a modeling technique used most heavily for automotive and industrial modeling. In contrast to polygonal geometry, a NURBS mesh has no faces, edges, or vertices. Instead, NURBS models are comprised of smoothly interpreted surfaces, created by "lofting" a mesh between two or more Bezier curves (also known as splines). NURBS curves are created with a tool that works very similarly to the pen tool in MS paint or Adobe Illustrator. The curve is drawn in 3D space and edited by moving a series of handles called CVs (control vertices). To model a NURBS surface, the artist places curves along prominent contours, and the software automatically interpolates the space between. Alternately, a NURBS surface can be created by revolving a profile curve around a central axis. This is a common (and very fast) modeling technique for objects that are radial in nature—wine glasses, vases, plates, etc. The tech industry likes to talk about certain breakthroughs they've termed disruptive technologies. Technological innovations that change the way we think about achieving a certain task. The automobile changed the way we get around. The internet changed the way we access information and communicate. Digital sculpting is a disruptive technology in the sense that it's helped free modelers from the painstaking constraints of topology and edge flow, and allows them to intuitively create 3D models in a fashion very similar to sculpting digital clay. In digital sculpting, meshes are created organically, using a (Wacom) tablet device to mold and shape the model almost exactly like a sculptor would use rake brushes on a real chunk of clay. Digital sculpting has taken character and creature modeling to a new level, making the process faster, more efficient, and allowing artists to work with high-resolution meshes containing millions of polygons. Sculpted meshes are known for previously unthinkable levels of surface detail, and a natural (even spontaneous) aesthetic. The word procedural in computer graphics refers to anything generated algorithmically, rather than being created manually by the hand of an artist. In procedural modeling, scenes or objects are created based on user-definable rules or parameters. In the popular environment modeling packages Vue, Bryce, and Terragen, entire landscapes can be generated by setting and modifying environmental parameters like foliage density and elevation range, or by choosing from landscape presents like the desert, alpine, coastal, etc. Procedural modeling is often used for organic constructs like trees and foliage, where there is almost infinite variation and complexity that would be very time consuming (or impossible altogether) for an artist to capture by hand. The application SpeedTree uses a recursive/fractal-based algorithm to generate unique trees and shrubbery that can be tweaked through editable settings for trunk height, branch density, angle, curl, and dozens if not hundreds of other options. CityEngine uses similar techniques to generate procedural cityscapes. Image based modeling is a process by which transformable 3D objects are algorithmically derived from a set of static two-dimensional images. Image-based modeling is often used in situations where time or budgetary restrictions do not allow for a fully realized 3D asset to be created manually. Perhaps the most famous example of image-based modeling was in The Matrix, where the team had neither the time nor the resources to model complete 3D sets. They filmed action sequences with 360-degree camera arrays and then used an interpretive algorithm to allow for “virtual” 3D camera movement through traditional real-world sets.? 3D Scanning is a method of digitizing real-world objects when an incredibly high level of photo-realism is required. A real-world object (or even actor) is scanned, analyzed, and the raw data (typically an x,y,z point cloud) is used to generate an accurate polygonal or NURBS mesh. Scanning is often used when a digital representation of a real-world actor is required, as in The Curious Case of Benjamin Button where the lead character (Brad Pitt) aged in reverse throughout the film. Before you go worrying about 3D scanners replacing traditional modelers, consider for a moment that the bulk of the objects modeled for the entertainment industry have no real-world equivalent. Until we start seeing spaceships, aliens, and cartoon characters running around, it's safe to assume that the modeler's position in the CG industry is probably safe.